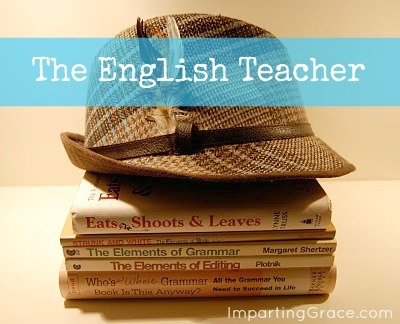 Imparting Grace: English teacher: how to use "y'all"
Hello, friends! It's time once again for a little English grammar lesson! Today's lesson is short and sweet. I want to answer a question I've been asked many times. 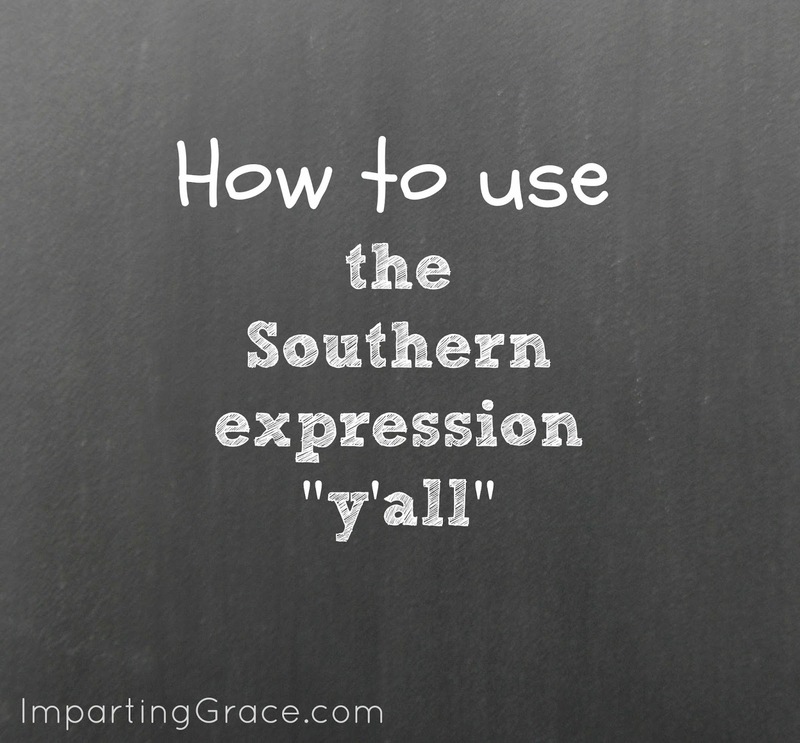 The question: How do you spell that most Southern of all words: "y'all"? The answer: "Y'all" is a contraction of two words: you and all. The rule for contractions is the same across the board. The apostrophe takes the place of the letter or letters being omitted. For example, can not becomes can't; the apostrophe takes the place of the missing n and o. I am becomes I'm; the apostrophe takes the place of the missing a. In the word y'all, the apostrophe takes the place of the missing o and u, so it goes in the place where o and u would be: right after the y. Y'all is an unusual contraction because the missing letters come so close to the beginning of the word. It's more common for letters to be missing near the end of words. But it's a Southern word, and Southern words are special. So there you have it: the correct spelling is y'all. Y'all be sure to come back here tomorrow for my party! Really. Tomorrow is the date for my very first linky party, "Those Special Touches." You can read more about it here. i saw your english teacher's hat and figured i'd pop on over for something else i won't be able to figure out :) but... i GET the apostrophe! and i've learned to love "y'all"
course, i love you :) and i am definitely coming to the party! Did I use whom correctly????? This makes me laugh! My MIL is a big user of y'all! Every email or card I get has y'all in it! Have a great day! woohoo! I am all set for your party! My post is up and I will link up once you post! 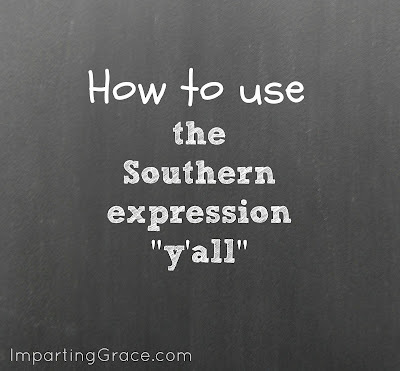 After my dad made a visit to the deep south, he informed me that the plural of "y'all" is "all y'all." I don't know if it's actually used that way or if he met one person who told him that. Yes, as a transplanted Yankee, I chafed at y'all, because "you" is both singular and plural, making y'all unnecessary. It can be used, however, to clarify whether I'm talking to Bubbah, or Bubbah and Bubbah's kin, so I find myself using it on occasion.